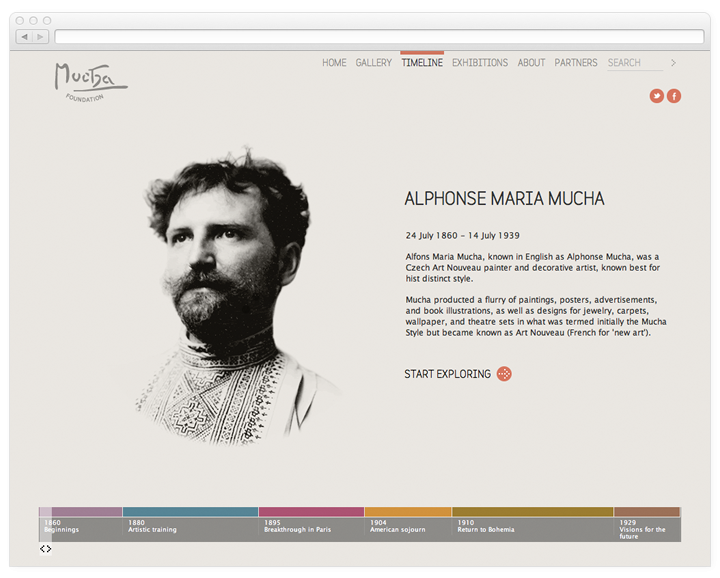 Alfonse Mucha was one of the most versatile artists and illustrators of the late nineteenth century and the first half of the twentieth. His personal style, which became known as 'Art Nouveau' encompassed anything from painting, to illustration, jewel, theatre stage design and much more. Keepthinking have created a website that reflects the diversity of his work. 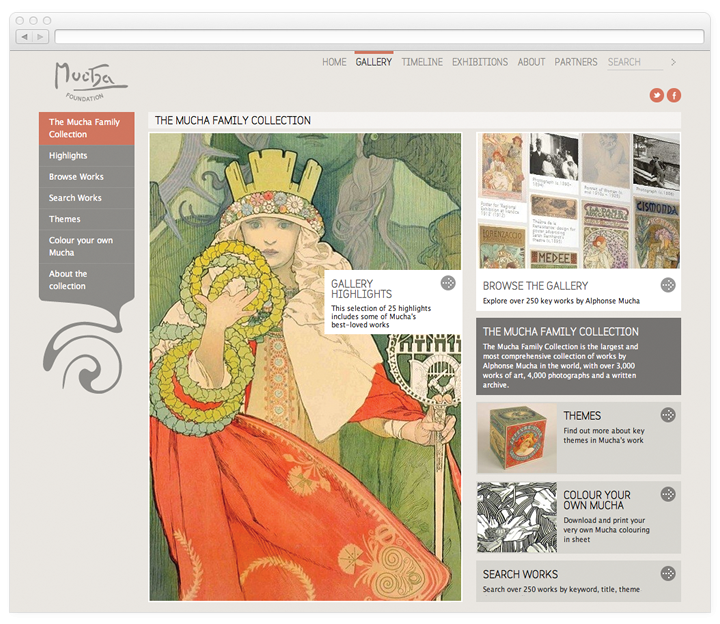 The Gallery allows to look at Mucha's work from different angles, from simple, categorised browsing, to themes and stories as well as search. 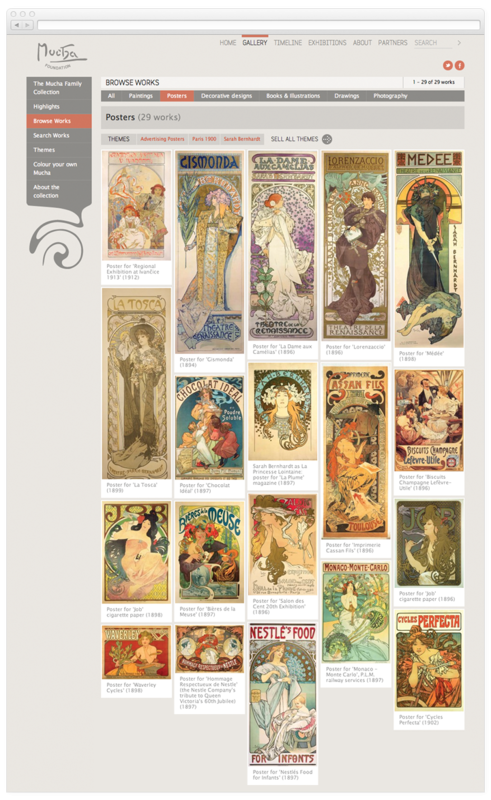 You may also download activity sheets to engage with the Mucha style more closely. Browsing works needed to reflect the nature of them, as well as their format, which varies in size and proportions. We chose to present works as a wall of images. 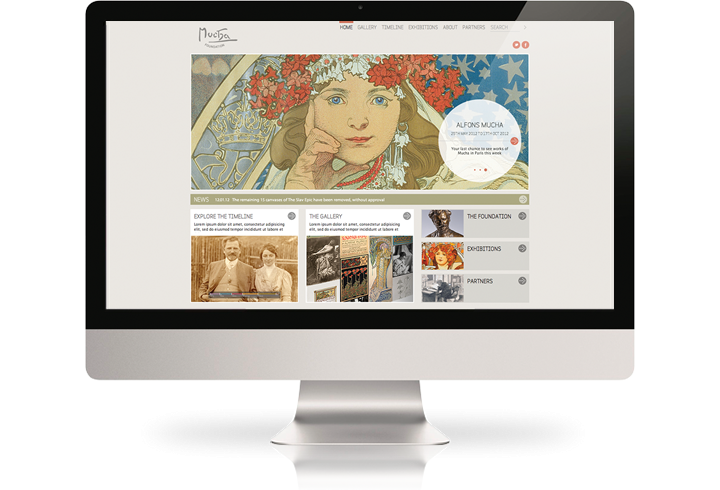 Mucha is very much a man of his time: his work is best understood when looking at the historical context as well as what was happening in his life. Browse the timeline, a sophisticated way to explore things as they happen, fully compatible with iPads and mobile platforms. 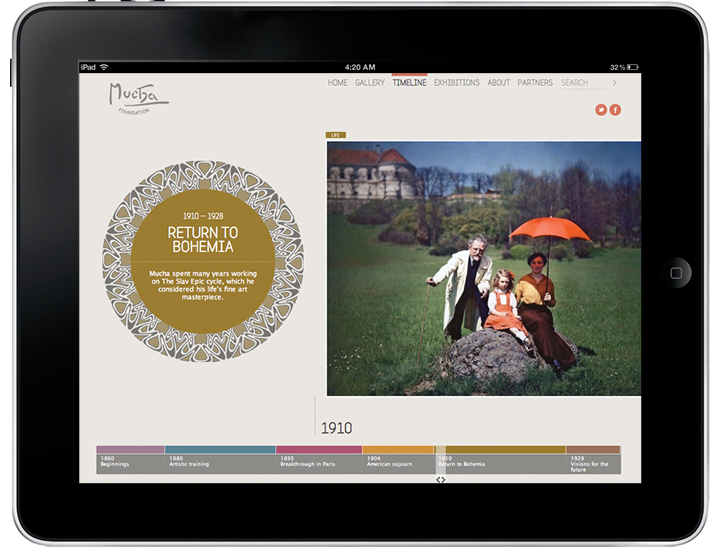 The timeline has been carefully designed to fit beautifully on an iPad screen, while the technology allows seamless scrolling through the events both on traditional as well as mobile devices.